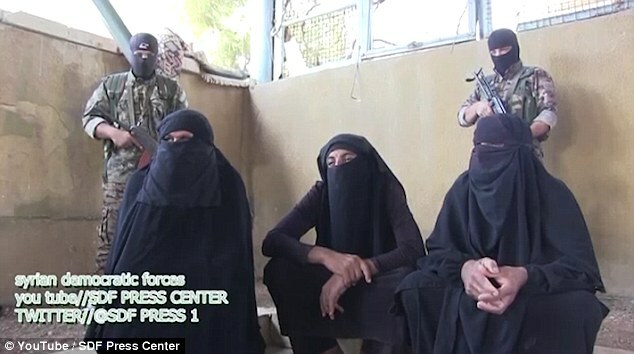 This is the moment a group of ISIS fighters were caught red-handed trying to escape from a fierce battle - dressed as women. The terrorists, all wearing full black veils, were captured as they attempted to run from the besieged town of Manbij in northern Syria. But members of the Syrian Democratic Forces, which is trying to liberate the town from ISIS, saw through the disguise and arrested them. So brave when they face unarmed women and kids. Treat them as Pre-op Transgenda and finish the job with a rusty Knife.